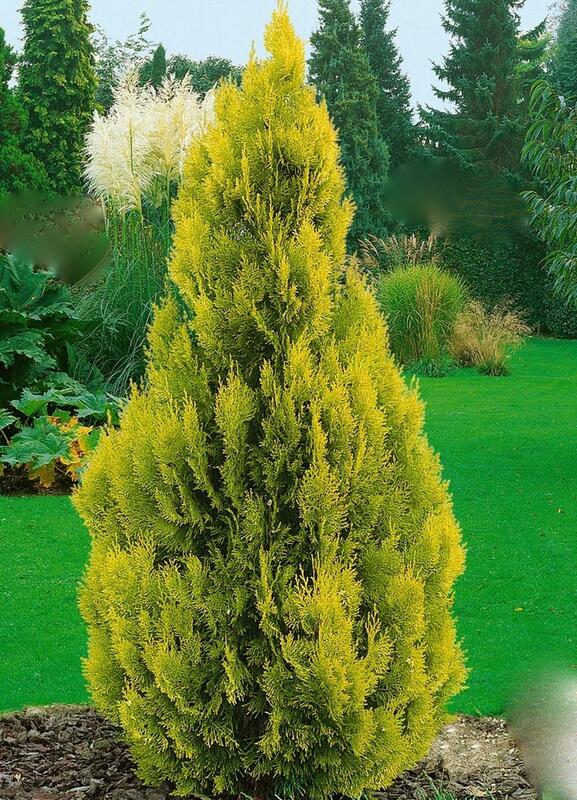 Newly introduced pyramidal conifer. Shines out all year round with deep gold throngs. Sun and good drainage. 1.2m tall. Good in containers.